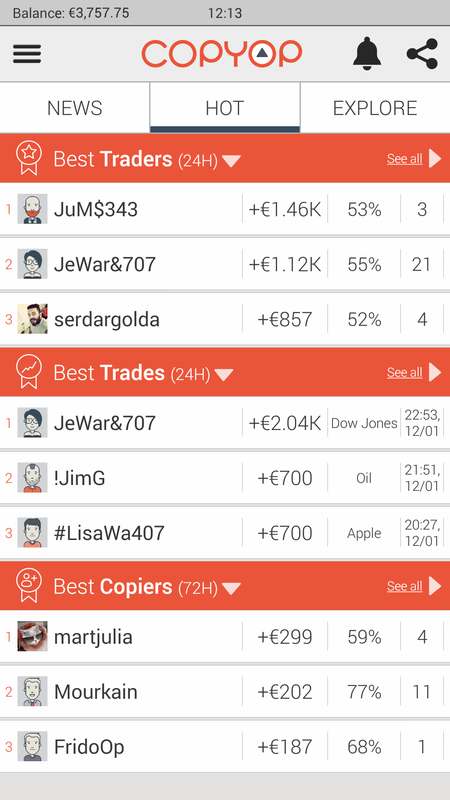 Leading binary options broker, Anyoption, has just released a new multi-device platform called copyop, for following, copying and trading binary options based on a social network of investors. Like on social forex trading networks, traders who are successful with binary option trading will now be rewarded, as leaders and beginners can gain from their experience. Anyoption is considered one of the biggest binary options brokers in the world with a reported market share of 20%. According to estimations the company has revenues of $40-$50 million a year and 100,000 active clients a month. Anyoption is expected to go public on the London Stock Exchange with a £140-£160 million IPO in the coming months. The binary options industry has been waiting for a while now for a major innovation that can shake up the market. Anyoption believes this new platform can do just that as it enhances the trading experience of beginners and advanced traders alike. The firm says traders will choose copyop over traditional binary option trading platforms because of the ability to learn from the experts. The copyop platform remains separate from Anyoption’s mobile trading apps, but all clients of the broker can login with their Anyoption credentials. In 2015, over 40% of all trades will be made from a mobile device, according to the broker’s estimation. For this reason copyop is compatible with Apple iOS, Google Android and web browsers, enabling traders to stay connected from their PCs, tablets and mobile devices at all times. 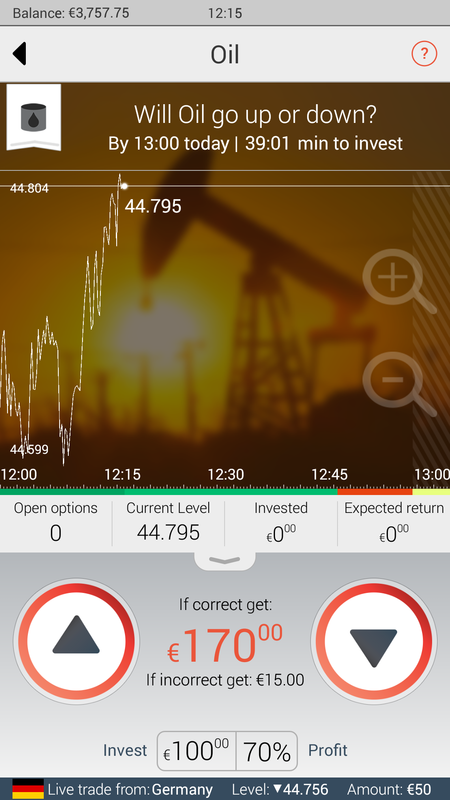 Forex Magnates tested the platform on an Android device and the experience was intuitive, responsive and fast. The social trading platform was clearly developed for traders of all levels so new users can participate with little experience in trading. 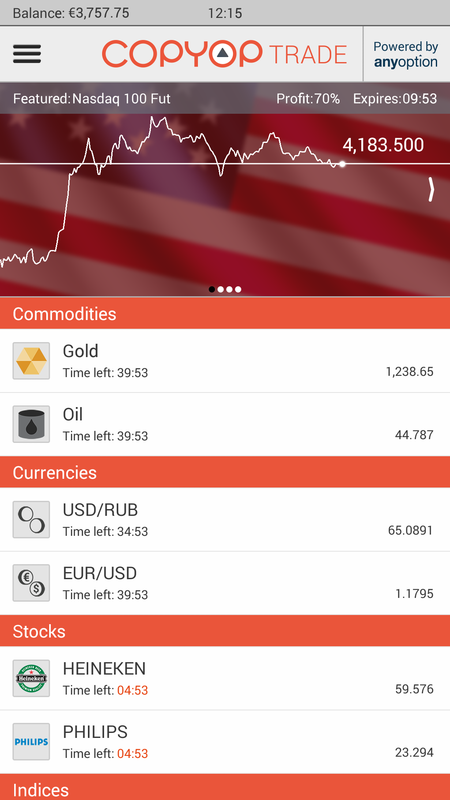 Literally seconds after downloading and login we were able to trade on currency pairs, major stock indices from around the world, commodities such as oil and gold, and many popular individual stocks. Decision making is very simplified for new traders and they learn from the investments of experienced traders. Knowledge sharing and insights from the community drive users to make decisions based on their returns. The copyop app is also fully integrated with Facebook, allowing quick sign-up based on your profile and enables sharing trading activities with one’s Facebook friends. Charts, profitable trades on the network and market insight are all delivered in real-time directly to the user on both mobile and web platforms. We found the use of space on the mobile app for the charts was done very well, allowing to easily identify trends with a limited mobile screen. This new social network can indeed change the way binary options traders engage with their broker and fellow traders. Developing a strong trading profile now becomes a key element for experienced binary options traders in order to enhance their presence in the copyop community and benefit from it as trade leaders have already done so in the forex market. Finally, the firm states copyop meets the highest standards of financial stability and works in full compliance with all relevant laws and regulations, especially in relation to investor protection. Presumably it will only work for the broker if losers follow losers…right? Its one thing to deposit and another to withdaraw! !